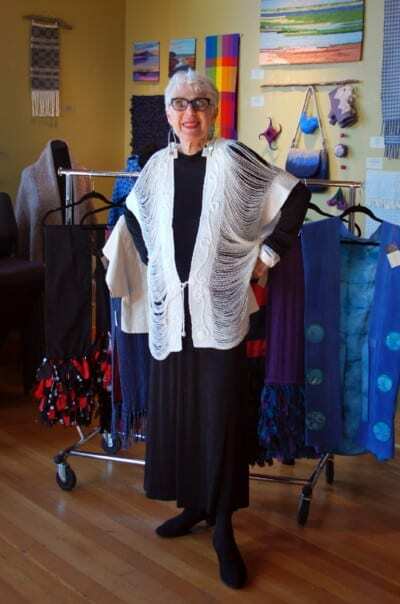 Anita Mayer posing in front of some of her pieces included in the Trunk Show. The hands of women have created beautiful things since the beginning of time. 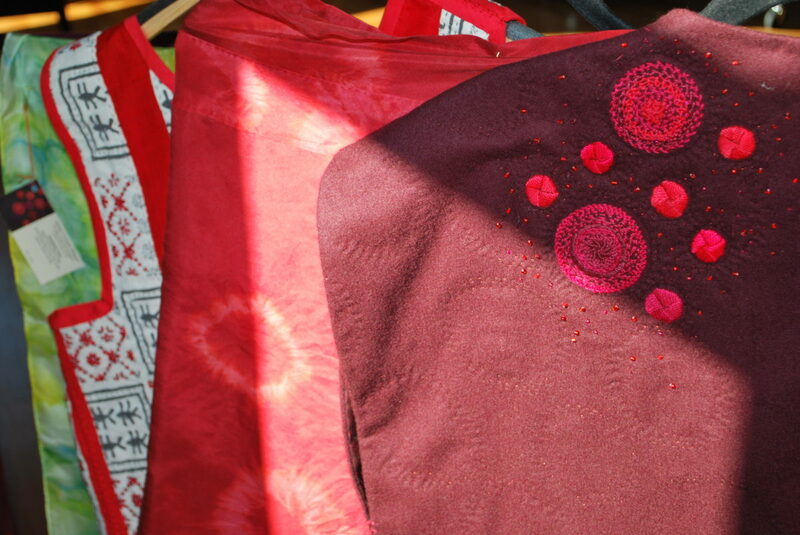 They have made cloth to adorn their bodies and the people they love. The hands of women have healed and provided comfort. 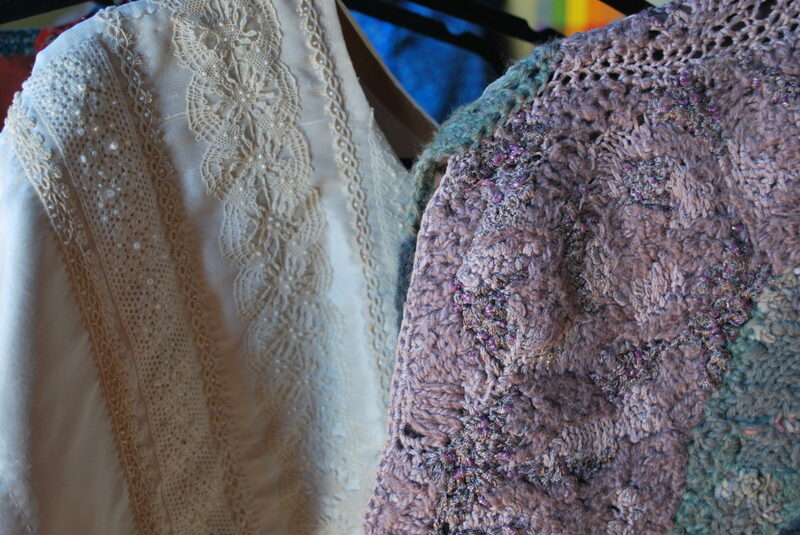 Buried in trunks and closets are found the handiwork of the women before us: anonymous women whose names are forgotten but whose creative work provides a connection between generations. 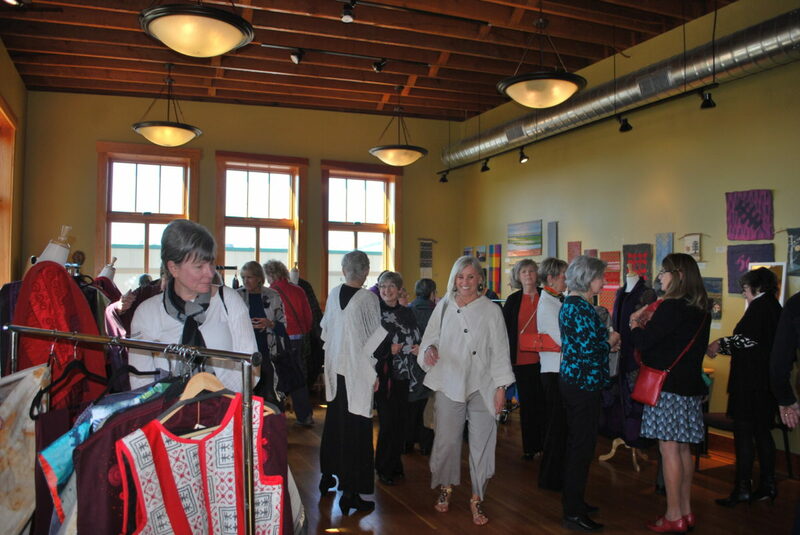 Last weekend, Anita Mayer came to the Jansen Art Center from Anacortes to lead a fashion show, offer a trunk show and teach a workshop to help create personal garments. 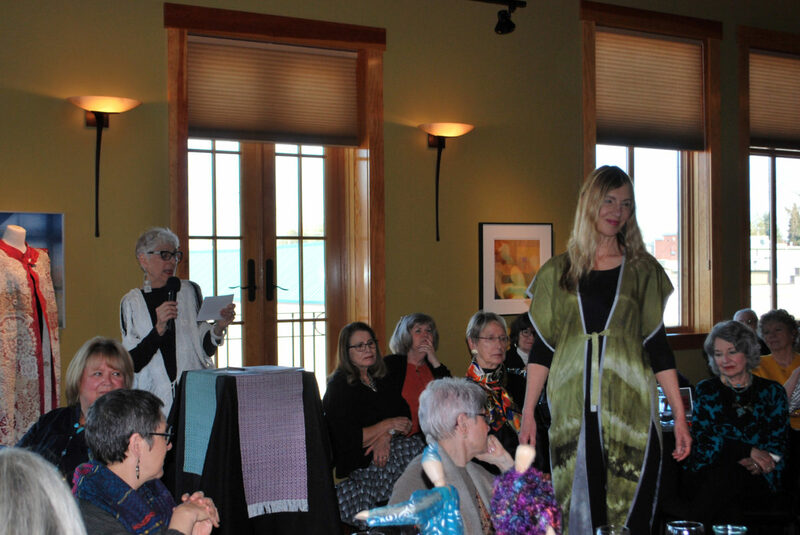 Not only did she present her one-of-a-kind garments but she gave us a look into the beautiful person she is. The fashion show demonstrated how Anita can take simple rectangle shapes and transform them into unique, timeless pieces with gorgeous embellishments and dying techniques like shibori. 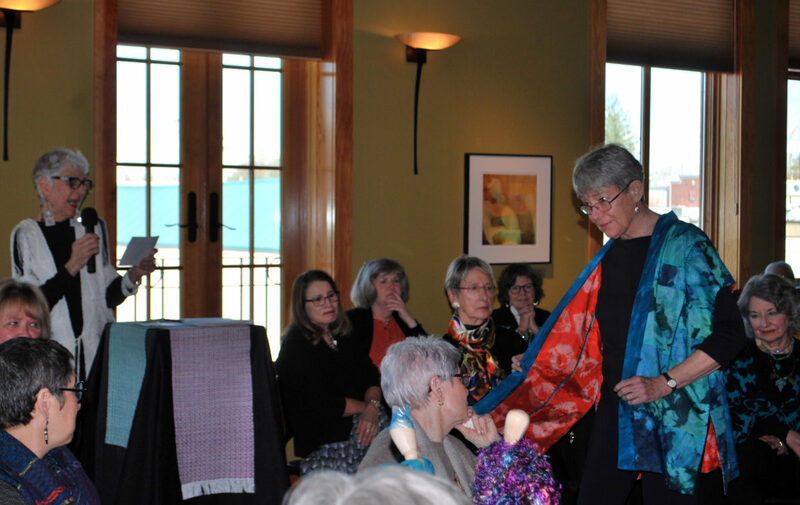 All of her work is sewn by hand and tells a story about who she is, where she has been, and the inspiration of women over decades. Anita takes the shape of the body into account while she drapes and strategically places fabrics and patterns on her pieces. Everyone who participated felt endless inspiration and encouragement to create and discover their own sense of style to flatter their unique body shapes. Anita brought so much warmth and joy to everyone and graciously proposed this event to be a fundraiser for the J. We can’t wait to have her here again!